*Referee: Sébastien Delferiere (BEL). He has been active in international cups since 2010. In his 6 matches he has an average of 4.4 yellow cards per game. One of them had two red cards. *Their first match (Day 03): PAOK had many difficulties against the solid defense of Fiorentina throughout the game. Their opponent used a secondary lineup but they proved why Serie A is considered a strong league. The goal of Vargas at 38’ stressed PAOK who spent the rest of the match looking for an equalizer. Fiorentina had no real problems defending their lead and they had some good chances for a second goal. Fiorentina was defeated in the away match against Sampdoria (3-1). Their opponent scored first at 27’ (Palombo, penalty kick), the players of Vincenzo Montella missed a penalty kick at 32’ and they conceded one more goal before halftime (Rizzo 43’). A goal by Savić at 45’ got his team back in the match but a third goal for Sampdoria at 78’ (Eder) gave a quick end to any hopes for a positive result. Montella stated PAOK is an ambitious team and that he is sure the opponents will give their best to stay alive in Group K. There are four problems reported. PAOK got a professional win in the last away match against Ergotelis (0-2) and took advantage of Olympiacos’ draw at Tripoli by increasing the distance from the Champions to 5 pts. Having watched most of their matches closely, I must say they look more reliable and concentrated in Super League. On the contrary, they are not doing well in the Greek Cup where they are almost out of the next stage or the Europa League where they have been defeated twice in three matches. Aggelos Anastassiadis constantly says his team wants to do well everywhere but the truth is PAOK has never reached a good level of performance in any of the other competitions. The absences of key players Raţ and Mak make the task for a positive result more difficult. 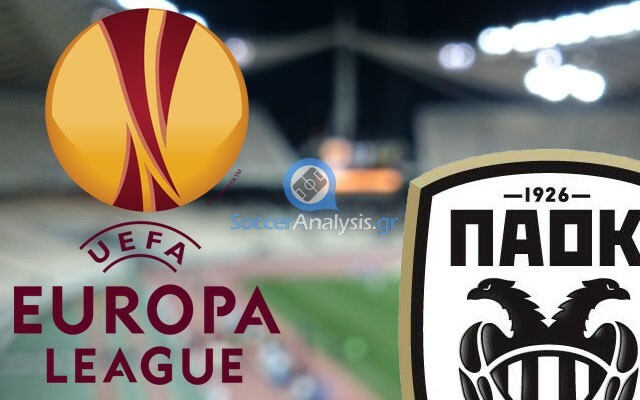 PAOK is having a very important match against Panathinaikos at Toumba on Sunday. A positive result, even a draw, can keep PAOK alive in the battle for the second place. My main concern is they have not convinced me they want it. Whatever their case, my guess is they will be after a good performance which means they will pay extra attention to their defense and wait, unlike the first match where they had to go after a goal. Depending on how they will do in the first half, I might take some live betting action here.